What Is a Military Move? Looking for a place to live after a base transfer? When military members are transferred to a new base, they often don’t have permanent housing lined up. So, they need to live in temporary housing while searching. The military has some on-base housing for permanent transferees, but it’s competitive and often subject to a waiting list. For those moving to a base temporarily or those who can’t get into on-base housing, the only option is to look off base. Let’s be real, here: the easiest thing you can do is stay on base. Everything is provided for you there, and you don’t need to deal with familiarizing yourself with a new base and town at the same time. If you want on-base temp housing, talk to the Relocation Office at your current base as soon as possible. They’ll guide you through what you need to do to reserve on-base temp housing at your future base. You might also check online t move.mil, as reservations can be made there. If you can’t find temporary lodging on base, it’s time to look off base. Fortunately, the military will cover 10 days ($180 per day) for you to stay off base. Many local hotels and motels offer discounted rates for military members, too. To find some off-base lodging, check with your new base’s relocation office. They’ll often have contracts with different motels/hotels for cheaper rates. If your relocation office can’t help you out, call some local motels and see if they offer discounted rates for military members. We suggest running an Internet search for local hotels/motels and calling those nearest to the base. There’s a good chance they’ll specialize in offering cheaper rates for military members in your position. Okay, yeah, you only get $180 a day. That’s not going to cover a room at a nice resort. However, it still is $180 a day. If you have some spare cash, you might want to put the military’s offering toward a nicer hotel. You know, splurge a little bit. It might make your transition a bit easier to swallow. 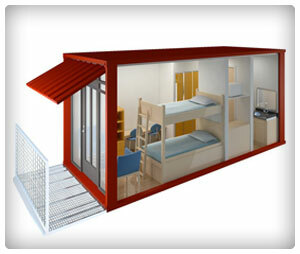 Temporary housing is just that: temporary. The goal while in it is to find permanent housing for yourself.